Availability: 5 in stock Size: N/A Category: Uncategorized. Tags: Earrings, Feather, Jay, Pierced. 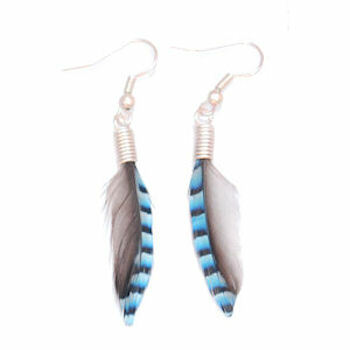 These are made from natural sourced materials meaning that each one is slightly different, please be aware that the ear rings you receive may differ from the ones pictured.